1869 Nov 25 Margaret married John Phillips at St. Paul's Episcopalian Church, Dundee. Other chldren died in Stirling, see 1914 below. 1888 Feb 22 Robert Grant Phillips, b.Dundee. 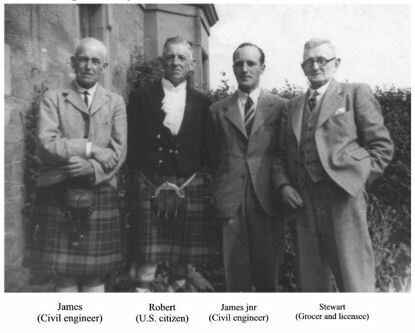 In 1908 he emigrated to Morence, Arizona, U.S.A. In a U.S. military 'draft' document of May 5 1917 he is described as a butcher, with wife and two children. 1978 Aug 27 Robert died at Long Beach, Los Angeles, Orange, U.S.A.
1914 August 26, Margaret died and was interred in her husband's grave at the Eastern Necropolis Arbroath Road, Dundee. Others mentioned on the memorial were interred at Stirling, Margaret 1878, 4 months; Jane Johnston 5yr; John 3yr; Thomas 5 months. 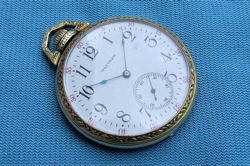 Manchester and gave him his 'old' gold watch as a keepsake. upon his arrival in the U.S.A. 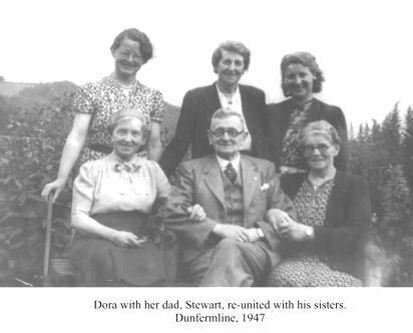 The photo on the right includes Stewart and his daughter Dora Royle. It is assumed that his sisters are Catherine, Agnes, Helen and Mary. 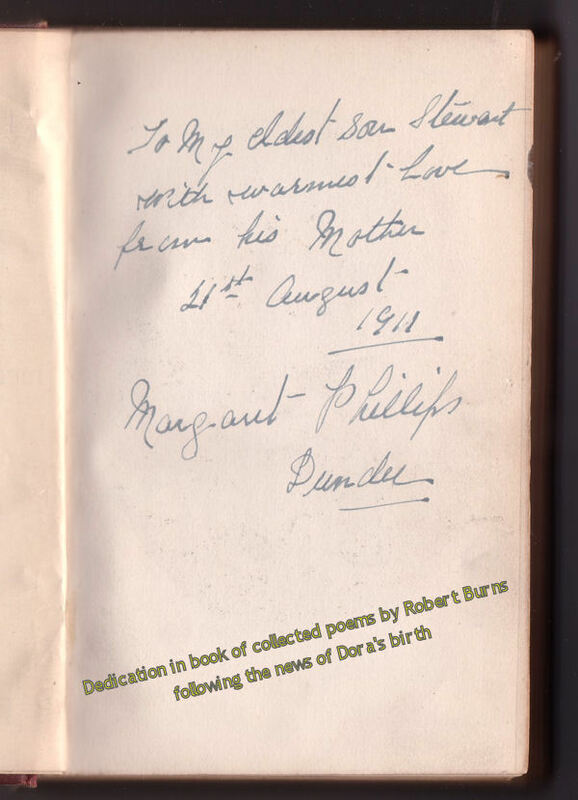 Received in Liverpool by her son Stewart following the birth of his daughter, Dora. An expression of motherly affection.